Be the first to hear about their new releases and deals. Download the Booksprout app and search for Nicole Brooks today! Nicole Brooks’ first novel, Just Because We Can (2018), inspired by her career as an Environmental Scientist, was a Next Generation Indie Book Award Finalist. Her work continues to explore the truths that are hard to see in our day-to-day grind. Now a full-time mother, Nicole tries to fit writing into her life every minute the kids are at school. 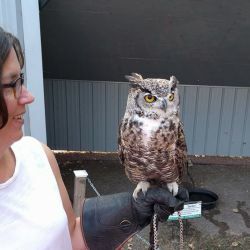 She is a hobby artist and nature enthusiast who lives with her family just outside Calgary, Alberta.